Any resident of Maryland who is retired from the workforce by reason of total or permanent disability may be exempt from payment of tuition. In order to receive this exemption, certification from the Social Security Administration or the Railroad Retirement Board stating that the individual receives disability or retirement benefits must be presented at the time of registration. All applicable fees will be charged. Students seeking a disability tuition waiver must also complete the Free Application for Federal Student Aid (FAFSA). The disability tuition waiver will be applied if grants and scholarships do not cover the student’s full semester tuition. If the employer has a rate agreement with HCC, students are required to provide proof of employment at the time of registration, or, no later than the day before classes begin, to the Office of Admissions and Registration. The proof of employment must be on company letterhead and dated no more than one week from the time it is provided to the College. The student must provide proof of employment each semester to retain in-county rates. The effective date for calculation of all refunds shall be the date of official withdrawal or change in schedule as recorded in the Admissions Office. Failure to attend classes does not constitute an official withdrawal. Refund appeal forms are available in the Office of Admissions and Registration and online at www.hagerstowncc.edu/registration/refund-policy. Forms should be returned to the director of admissions, records and registration. No appeals will be accepted if the student’s tuition balance has been sent to the State of Maryland Central Collection Unit (CCCU). Note: Eligibility for a refund is determined by the date the signed notification (by the student) of the intent to withdraw is received in the Office of Admissions and Registration. The number of times a course has met is not used in determining eligibility for a refund. Questions regarding refunds should be directed to the Finance Office, 240-500-2220, or emailed to finance@hagerstowncc.edu. Students may request a change in residency classification by completing a “Change in Residency” form available in the Office of Admissions and Registration. Applying for the exemption does not alter your responsibility to pay by the college deadline any nonresident tuition and associated fees that may be due before your eligibility is determined. For institution-specific instructions regarding documentation and deadline dates, contact the Office of Admissions and Registration at 240-500-2572. Out-of-state students pay tuition in accordance with Education Article, &16-310(a), Annotated Code of Maryland. Out-of-county or out-of-state students pay tuition in accordance with Education Article, &16-310(b), Annotated Code of Maryland. Maryland residents enrolled in a program designated as a Health Manpower Shortage, statewide or regional by the Maryland Higher Education Commission may be considered as in-county residents for tuition purposes. The Health Manpower Shortage programs at HCC are nursing (LPN and RN), radiography and paramedic. The statewide designated programs include industrial technology (A.A.S. and Certificate) and facilities maintenance technology (Certificate). The statewide designated programs include industrial technology (A.A.S. and certificate), facilities maintenance technology (certificate), and alternative energy technology (A.A.S. and certificate). Students must demonstrate eligibility each semester. Sixty-six percent of the registered courses must be a part of the program of study. Students must officially withdraw from classes at the Admissions and Registration Office if they are no longer planning to attend. The Student Financial Aid Office administratively will NOT withdraw or deregister a student for non-payment. Failure to comply could result in all tuition and fee charges being billed to the student. You must reapply for financial aid every year. You should reapply for financial aid starting in January, for the following academic year. You should complete the federal income tax return before completing the FAFSA. The IRS Data Retrieval Tool allows students and parents to access the IRS tax return information needed to complete the Free Application for Federal Student Aid (FAFSA). Students and parents may transfer the data directly into their FAFSA. If you do not use the IRS Data Retrieval Tool to provide tax information when completing the FAFSA, you may be required to obtain and submit a copy of your official tax transcript for the IRS, and your parents may be required to obtain and submit a copy of their official tax transcript for the IRS. Student applications are reviewed for completeness and accuracy. The student is notified by email and WebAdvisor if documentation is missing or if there are discrepancies in the information. It is the student’s responsibility to submit copies of the documentation needed to complete their file. Students whom the Department of Education selects for verification must complete the verification process within three weeks of notification from HCC. Once the file is complete and correct, the aid is awarded. Federal financial aid awards are based on financial need. Student loans have two (2) disbursements each semester. The first disbursement will be at the beginning of the semester (at the same time the Pell Grant is disbursed) and the second will be after the mid-term date. The Office of Student Financial Assistance (OSFA), a division of the Maryland Higher Education Commission, awards Maryland financial aid funds. To be eligible for this assistance, you and your parents (if a dependent student) must reside in Maryland for twelve months or more. Maryland residents should complete the FAFSA before March 1, to be considered for Maryland Grants and Scholarships. Additional application information is available at www.MDgo4it.org. Howard P. Rawlings Guaranteed Access Grant: Current high school seniors who will complete a college preparatory program or students who graduated prior to the current academic year who provide written documentation explaining why they were unable to attend college within one year of graduating from high school may apply for this grant. Applicants must complete the FAFSA by March 1 of each year and the Howard P. Rawlings Guaranteed Access Grant application. Eligible applicants must be full-time, degree-seeking students. Part-Time Grant: Eligibility for this grant is based on financial need as determined by the FAFSA and availability for funds provided by OSFA. It is suggested that the FAFSA be completed as soon as possible after January 1 each year. Recipients are selected by HCC. To be eligible the student must be attending part-time and be enrolled in a degree-seeking program of study. Distinguished Scholars Awards: Current high school juniors may apply or may be nominated by their high school guidance counselor. Finalists in the National Merit Scholarship and National Achievement Scholarship programs will automatically receive the award if they attend HCC or another Maryland institution. Achievement applications may be obtained from high school guidance offices. Distinguished Scholars Community College Transfer program: Maryland residents who have completed 60 credit hours at a Maryland community college and are transferring to a Maryland four-year institution of higher education may apply for this scholarship. Applicants must complete the Distinguished Scholar Community College Transfer application and submit an official college transcript(s). Maryland Workforce Shortage Assistance Grant: Workforce Shortage Assistance Grant was established based on critical shortages in the workforce in Maryland. Eligible majors and employment fields are determined bi-annually. Both merit and need-based criteria are used when selecting recipients. 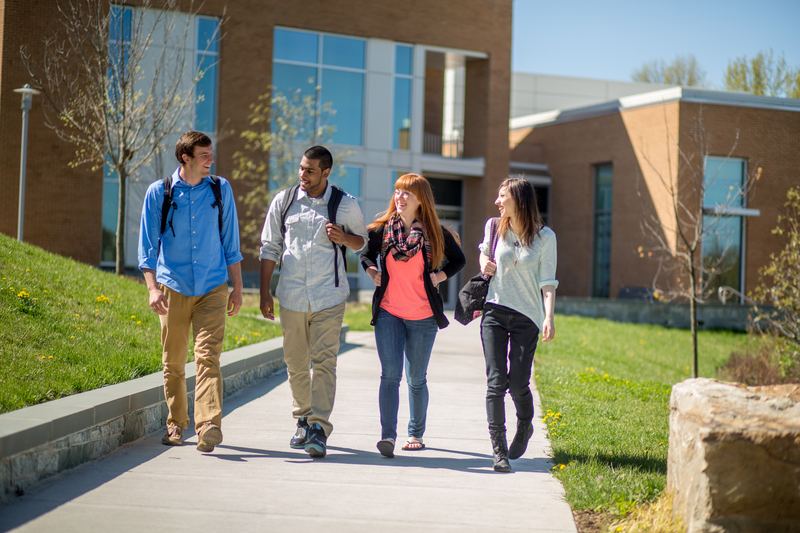 U.S. Department of Education Regulations requires Hagerstown Community College establish satisfactory academic progress (SAP) standards for all financial aid recipients. All Federal Financial Aid recipients must be enrolled in an eligible degree or certificate program. Students must be making measurable academic progress toward completion of the degree or certificate program in order to be eligible to receive financial assistance from any of the following programs: Federal Pell Grant, Federal Supplemental Educational Opportunity Grant, Iraq and Afghanistan Service Grant, Federal Work-Study, Federal Stafford Loan, Federal Plus Loan, and the State Student Grant. HCC works with many local and national organizations to award student scholarships. Any scholarship checks students receive should be sent to or brought in to the Finance Office at HCC to be applied to the student’s account. This helps the Student Financial Aid Office calculate a student’s total award package. Many organizations base scholarship awards on things like enrollment status, program of study, GPA, and which high school a student attended. Feel free to contact the Student Financial Aid Office for information on community scholarships. STEM Scholarships: Applications for the STEM Scholarships are due August 15. These awards provide up to $5,000 per year. Return application materials to the Financial Aid Office. All applicants are required to submit the FAFSA at www.fafsa.ed.gov and complete the STEM Scholarships application. View application criteria and download the STEM Scholarship Application. HCC Foundation Scholarship: Applications for both the HCC Foundation scholarships and scholarships awarded through the Financial Aid Office are available in both the Financial Aid Office and the Office of Institutional Advancement. The HCC Foundation Scholarship Committee awards a number of scholarships, with its own criteria and dollar amounts, in the fall and spring of every academic year to students taking at least six credits. Recipients are selected by the Foundation Scholarship Committee. The Student Financial Aid Office uses the same application and awards miscellaneous scholarships from private donors and organizations. They are usually awarded to students in financial need and who show scholastic promise. Most scholarships are for a one-year period, but some may be renewed the following year. Applications are kept on file for one year in the event additional funds become available to award. Complete the HCC Foundation Scholarship Application Form online. HCC Faculty/Foundation Scholarship for Academic Excellence: The HCC Faculty/Foundation Scholarship for Academic Excellence Committee offers an academic excellence scholarship program for qualified graduates of area high schools. The committee awards these scholarships to the qualified scholar who has the highest Quality Point Average among the applications received from each school. These awards provide $550 per semester at Hagerstown Community College. Recipients who maintain satisfactory academic records at the college will be supported for four consecutive semesters of college for a total of $2,200. View the application guidelines and download the Faculty/Foundation Scholarship for Academic Excellence Application here. Early College Discounts: High school students may be eligible for tuition savings. Learn more about the ESSENCE Early College Program and the STEMM Technical Middle College. A number of scholarships with varying criteria are available per semester and are made possible by contributions from individuals, businesses, corporations, HCC employees, groups, and other sources. They are perpetual since only the interest accrued is awarded. Unrestricted scholarships are need-based. They are awarded annually per semester to residents of the tri-state area, and require a 2.0 grade point average. Scholarships are administered through the Hagerstown Community College Foundation and recipients are selected by the Foundation Scholarship Committee. For a complete description of each of the following scholarships and their eligibility requirements, visit www.hagerstowncc.edu/alumni-foundation/hcc-foundation/scholarship-application.